Summary Statement, 3rd Quarter, 1863 – Howitzers for New Mexico! Company K, 1st New Mexico Cavalry, Artillery Stores: At Fort Canby, New Mexico (Territory), with two 12-pdr mountain howitzers. The return was received in Washington on December 29, 1863. While just a couple of little howitzers, there is a lot here to unpack. And I had to call upon my old Army buddy Don Caughey for an assist (bookmark that site… while Don is not a prolific blog writer, he more than makes up in quality). When we think of the Civil War in New Mexico, mention is made of Sibley’s New Mexico Campaign. And then of Glorieta Pass – “The Gettysburg of the West” – and that time YOU answered a trivia question correctly (“I’ll take Trans-Mississippi for $500”). One might dismiss the theater as a backwater after mid-1862, right? Well not so fast…. While true the Federals and Confederates did very little sparing after that 1862 campaign, encounters with Native Americans kept both sides busy for the remainder of the war, and beyond. The Federals in New Mexico Territory continued to play out pre-war confrontations with the Apache and Navaho. These operations and engagements might properly be classified as part of the Apache Wars or the Navaho Wars rather than those of the Civil War. 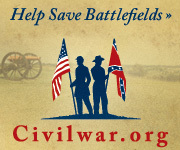 However, I suggest, as these activities occurred during the Civil War, involving leaders, troops, and resources otherwise associated with the Civil War, that we must at least concede these operations are best studied in the context of the larger war. Christopher Houston “Kit” Carson had already established his place in American history well before the Civil War started. The frontiersman had done much to scout out and further open up the American west. At the outbreak of the war, Carson left his position as an Indian Agent and volunteered in the US Army. He was soon given command of the 1st New Mexico Volunteer Infantry, leading that regiment in the Battle of Valverde in late February 1862. With the conclusion of the 1862 campaign, and many enlistments running out, Federal authorities reorganized the New Mexico volunteers. On May 13, 1862 the 1st New Mexico Cavalry was formed out of the 1st, 2nd, 4th, and 5th New Mexico Infantry, under Colonel Carson. The regiment served at several frontier outposts, operating against the Apache and Navajo, and only rarely the Confederates. The following year, authorities in the Territory decided the time had come to conduct a hard campaign against the Navajo, citing increasing murders and robberies. And on June 15, 1863, under General Orders No. 15 from the Department of New Mexico, commanded by Brigadier-General James Henry Carleton, Carson was to lead a column against the Navajo. Allow me to pass over much of the campaign’s details (and interesting campaign which is, in my opinion, lacking a definitive, focused study, at least not that I’ve found) and look to these howitzers. In the details of that order, “Colonel Carson will require, and receive, two mountain howitzers on prairie carriages, with an adequate supply of ammunition, &c., to be used in defense of his depot at Pueblo, Colorado.” As the campaign unfolded, Carson would need those howitzers at his advanced base of Fort Canby. Fort Canby was established in late July, was 28 miles west of Fort Defiance (which had been abandoned in 1861, but reestablished during Carson’s operations in 1863). The site is near the present day Ganado, Arizona (recall… Arizona wasn’t a territory until later). With support from Fort Canby, Carson began a winter-long campaign to round up Navajo. Most were taken to Fort Defiance and then sent on a march across what is today New Mexico to Fort Sumner. An 18-day, 300-mile journey under terrible conditions. Circling back to the howitzers, initially the two weapons were assigned to the regimental ordnance sergeant, Moses Barnwell. When Barnwell went on to other duties, serving as post Sergeant-Major and other senior positions, he did not retain control of the cannon past September of 1863. It’s not clear who was placed in charge of the howitzers at that time. I suspect the cannon were detailed to different sergeants as the need arose. But the record is clear that the 1st New Mexico Cavalry retained those howitzers for quite a while. Abstract returns from later in 1863 and 1864 indicate two howitzers remained at Fort Canby. The howitzers were used in the field during operations against the Navajo in January and February 1864. And in November 1864, when Carson lead a column into the Texas Panhandle, he had two howitzers with him. The howitzers played an important role in the First Battle of Adobe Walls, helping to repel a force of Kiowa, Comanche, and Plains Apache. That said, if we ever do find the original return from the 1st New Mexico Cavalry and can trace the exact registry numbers to surviving pieces, I’d submit those are some bronze cannon with a story or two worth relating. Company K, 1st New Mexico Cavalry: 72 shell and 88 case for 12-pdr mountain howitzers. Remarkably, for service on the frontier, there was no canister reported. The remainder of the ammunition columns are empty, as one would expect. And the small arms were likely reported on a separate summary for cavalry and/or infantry arms. While just a pair of howitzers, the line on the Ordinance Department summary statement alludes to events occurring in the far southwest of America in 1863. And some of those events would rival and surpass the “hard hand of war” being experienced in the eastern half of the country. All the more reason I wish we could identify one or both of these howitzers among the surviving cannon today – as there are many stories to tell around them.